Ascension Nursery School is a preschool dedicated to learning, playing and growing together. We encourage strong friendships and a life-long love of learning. We know each child grows and develops at his or her own pace. We celebrate the differences! Kelly has been teaching in both public and private school for over 25 years. She has earned her BS in Elementary Education from Salem State and her masters in Special Education from Lesley University. Kelly lives in Ipswich with her husband, Ken. They have three grown children, Krystina, Kenny and Kelsey. Carron has over 20 years of teaching experience.She earned a BS in Early Childhood Education from Fitchburg State University. In addition, Carron can be found during the summer working for the Trustees of Reservation at Crane Beach in the Membership office. Carron and her family live in Ipswich. Preschool classes focus on both social and building skills with Lego specialist Jo-Ann Gorrell. class starts with an introduction to the project and concepts as well as building instructions. Rowley, MA. 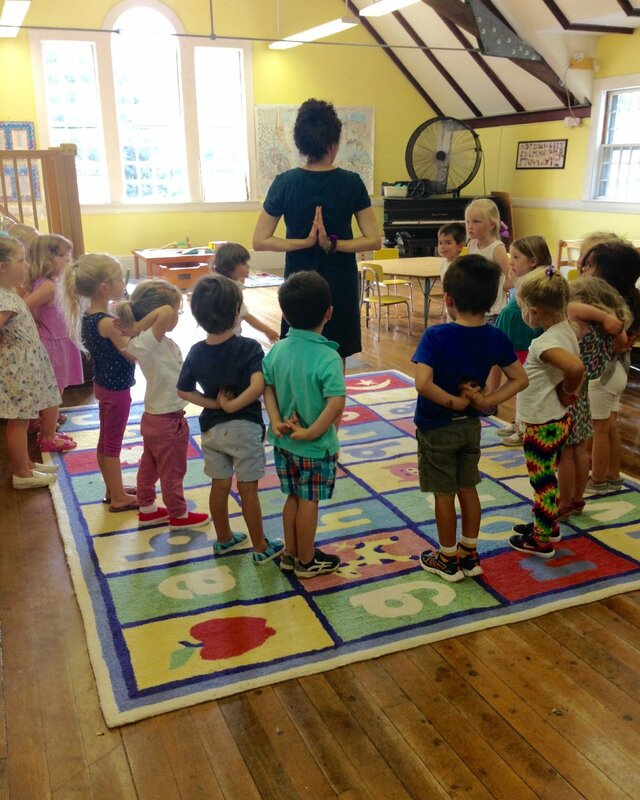 She empowers our preschoolers to find strength and balance in their everyday lives. "When choosing a preschool for our son in we had many options in the area and made sure we explored them all. The moment we met Caron and Kelly and visited the classroom at Ascension Nursery School we knew on the spot this was the best decision for our son, and our family. The warm, light, comfortable space for the children to learn and play was exceptionally inviting and the teachers at Ascension are loving, caring, and met the needs of each student individually. Every morning we drop him off, he is excited to go to school, see his friends to play and learn, and is welcomed with warm smiles and a great attitude! Ascension offers so much more that the typical preschool; they offer music, cooking, dance, yoga, and even STEAM days that our son loves! They are flexible and willing to work with each family and their child's individual needs and schedules. After he attends Ascension Nursery School, I know that he will be more than prepared to enter kindergarten. I'm looking forward to sending our next son there in a couple years and continuing to be a part of the Ascension Nursery School program." "Our family could not be happier at Ascension Nursery School. As parents, sending our first born off to school for the first time, we were nervous. How would our child do in a brand new environment, with brand new people, outside of his home? Within a few short weeks we soon realized that Ascension became his home away from home; the teacher his caretakers. Our son was not only receiving an extraordinary preschool education, but also was guided, nurtured and cared for by his teachers, and welcomed by his peers. Although we are sad that our son's time at Ascension will soon be coming to an end, we couldn't be happier to be sending our daughter there in the fall. Thank you, Ascension, for creating the perfect learning and growing environment for our children. We are forever grateful." "Their program offers young children an outstanding first experience in a school-type setting, with a perfect balance of learning through age-appropriate academics as well as through play and natural exploration of their environment. 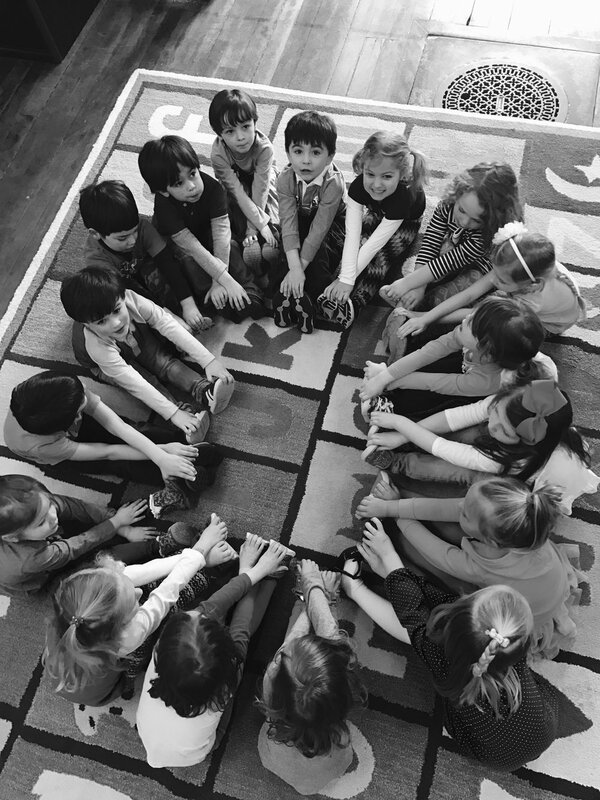 Kelly and Carron offer their students a program incorporating structure and routine, in which young children can thrive and become independent learner at their own pace, while also becoming a valued member within a community. I feel a true measure of the success of their program was the fact that my son and daughter both went on to a very easy and successful transition into Kindergarten, as well as the fact that both kids continue to enjoy going to school each day. Ascension Nursery School is an excellent program for preschool children and their families, and any child would be lucky to be a part of their community. " "Both of my daughters have and currently attended the Ascension Nursery School Program. When first looking into a preschool program, I scoured the area looking for a program that would best fit both my and my daughters needs. One that not only had their educational gains as a factor but their social and emotional growth too. Finally, after several attempts, we found it!! From the families/students that attend, to the extras, and the hand-on, multi-sensory learning that takes place it was an easy decision! However, the last piece of the puzzle was the two phenomenal teachers. These two individuals have traits that one can only hope that their young child has the opportunity to be around and learn from. The program offers a variety of extras from Lego building, yoga, music, creative movement and even STEM (science, technology, engineering and math) opportunities! These extras have allowed for my girls to experience a variety of different experiences and have given them the opportunity to explore different hidden talents. The families in the program are warm, welcoming and always friendly. This can be seen during a family bingo night, a fundraiser, a sing-a-long, a birthday party or even during drop-off/pick-up, someone always extends their self to you making you feel more than welcome. Carron and Kelly are the two remarkable individuals responsible for such a warm, nurturing environment. They have instilled a love for learning and education in my two daughters that is just wonderful as a parent to see and that is worth so much more than they will ever know. If you are looking for a one of a kind program that is sure not to disappoint give Ascension Nursery School a try, you will not be disappointed!" "Ascension is the best preschool I could have hoped for for my daughter. She loves going to school and adores Ms. Riddle and Ms. Wing. She has made many friends and I have seen her completely blossom in their classes. She gets very excited for the many extras Ascension offers, especially yoga and dancing. Every day she gets picked up from school with a craft to show me and the biggest smile on her face. Ms. Riddle and Ms. Wing are the easiest people in the world to have teaching your child. They keep us well informed on the day to day activities of the children in their weekly newsletter, and they answer right away if you have any questions. They are kind, encouraging and engaging with the children. Ascension is the most wonderful preschool and I am so happy that my daughter gets to attend each day."